Description:The valves can be used on various mud equipments. 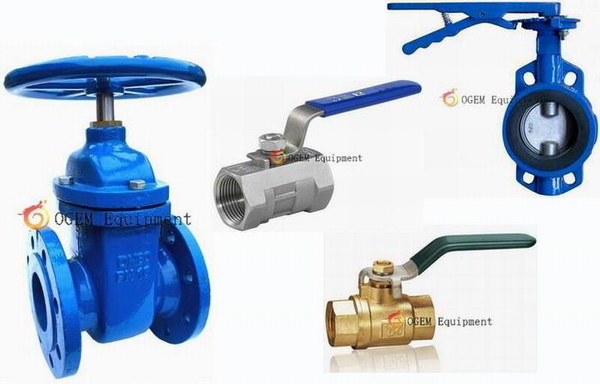 Including mud tank, mud mixing pump, etc.. OGEM equipment can provide gate valve, butterfly valves, ball valves, etc. OGEM Equipment can provide various valves. Such as ball valves, gate valves, butterfly valves, etc. Furthermore, the valves including common pressure and high pressure type. In drilling mud process, the valves can be used on mud cleaner or desilter cones, the mud tank clean gate, connection between mud tanks, also on the mud hopper. Different valves have different function, generally, the valves can adjust flow rate, control drilling mud discharge, etc. If you need valves please contact OGEM equipment.